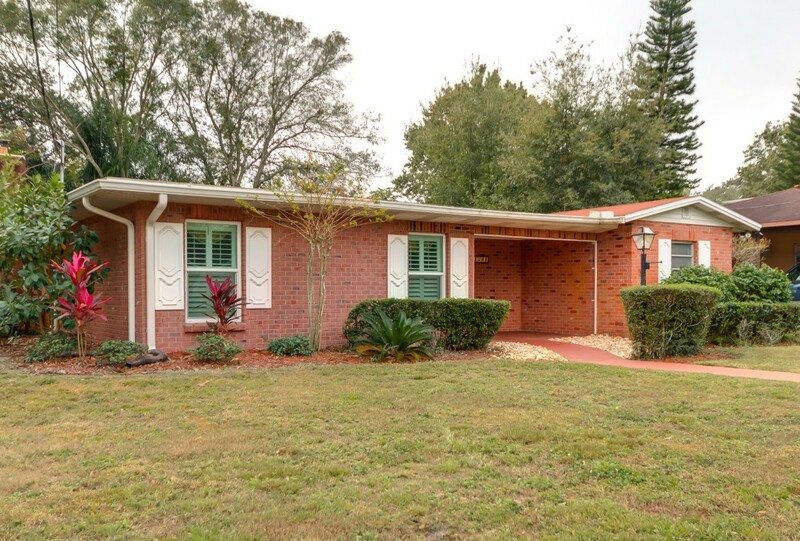 This is THE opportunity to own a phenomenally priced home in the desirable South Tampa neighborhood of Palma Ceia and within walking distance of Bayshore Blvd. This block constructed 4 bedroom 3 bath home is situated on a corner lot and has over 2,600 square feet of living space. Included in the square footage is a newly built (2012) 2nd master suite, which can be ideally used as an in-law suite, for long-term guests or in-home help. The layout of the home is perfect with separate dining room, oversized living room with stone covered fireplace, expanded family/media room and a home office. The renovated kitchen is designed to allow ease of access to both the dining and living rooms. Major items have already been accounted for with the roof replaced in 2007, water heater 2009 and HVAC in 2010. The home has a huge oversized carport plus additional drive space, perfect for multiple vehicles and watercrafts. The Palma Ceia community is centrally located, with direct access to Downtown Tampa, Channelside, Tampa International and the major interstates. Additionally, this home is in the Roosevelt Elementary, Coleman Middle School and Plant High School boundaries. Now is the time to secure a great home, for a fantastic price and in a wonderful location!